The team’s physiotherapist accompanies the player to the first session. During examination we find that left hip is restricted in external rotation and abduction. Adductors were tight and all external rotators were tight – this pattern had been going on for some time… Further down the chain a pronation of the left ankle is seen in standing and during squatting. He has previously during his youth had two major inversion traumas on the ankle. Ankle dorsal flexion and inversion were limited on left side. ART treatment was focused first on the passive structures of the ankle to increase dorsal flexion and inversion. This was done to make sure that the more active structures higher up the chain could work in a better and more productive manner. Then treatment was focused more on the active structures such as Adductor magnus, brevis and longus (pectineus) and the hip external rotators. 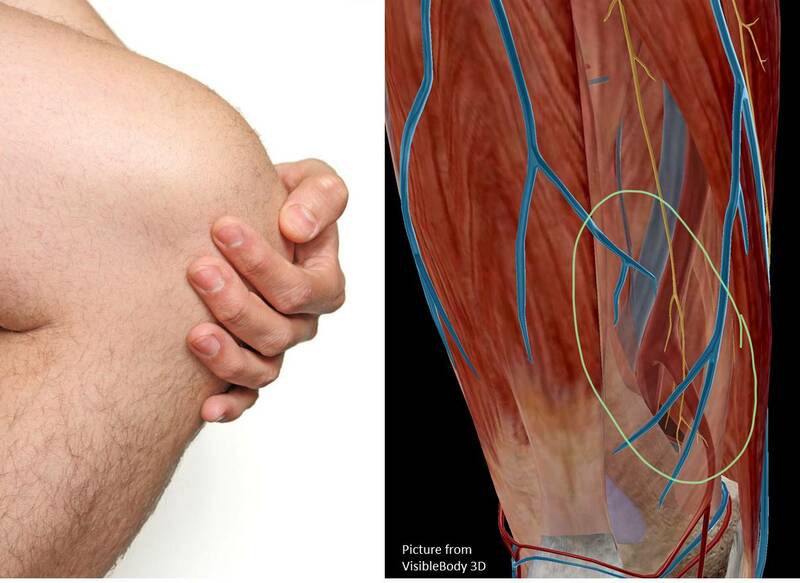 Finally I released the Hiatus of the adductors aiming at reducing the pressure of the vascular structures. ART sessions were repeated two times the same week and followed up by the team’s physiotherapist who is certified in ART. Already 2 weeks later the player could manage 90 min. of play without swelling.